WHO experts now say that 10,000 illegal kidneys are harvested and transplanted every year. The vast sums to be made by both traffickers and surgeons have been underlined by the arrest by Israeli police last week of 10 people, including a doctor, suspected of belonging to an international organ trafficking ring and of committing extortion, tax fraud and grievous bodily harm. 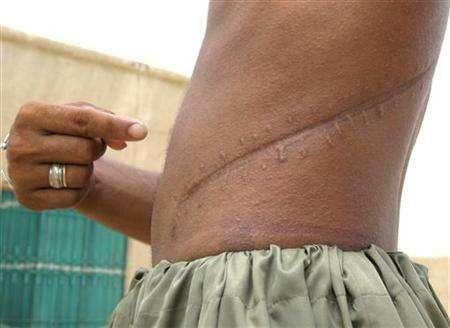 Other illicit organ trafficking rings have been uncovered in India and Pakistan. The Guardian contacted an organ broker in China who advertised his services under the slogan, "Donate a kidney, buy the new iPad!" He offered £2,500 for a kidney and said the operation could be performed within 10 days. A medical source with knowledge of the situation said: "While commercial transplantation is now forbidden by law in China, that's difficult to enforce; there's been a resurgence there in the last two or three years. "Foreigners from the Middle East, Asia and sometimes Europe come and are paying $100,000 to $200,000 for a transplant. Often they are Chinese expats or patients of Chinese descent." The doctor took him apart with exquisite care, like disassembling a flexible, fragile, tremendously complex jigsaw puzzle... all the [body]... went into storage in the hospital's organ banks. Any one of these units could be packed in a travel case at a moment's notice and flown to anywhere in the world in not much more than an hour.